If you have an Etsy shop, you’ve probably tried making your own banner or purchased one from a graphic designer. With my Etsy shops (Mux Originals and Sweet Yogi Headbands), I’ve experimented with both methods and struggled with wanting to regularly give my storefront a fresh look without spending too much time or money. This is the easiest method I’ve found after much trial-and-error. 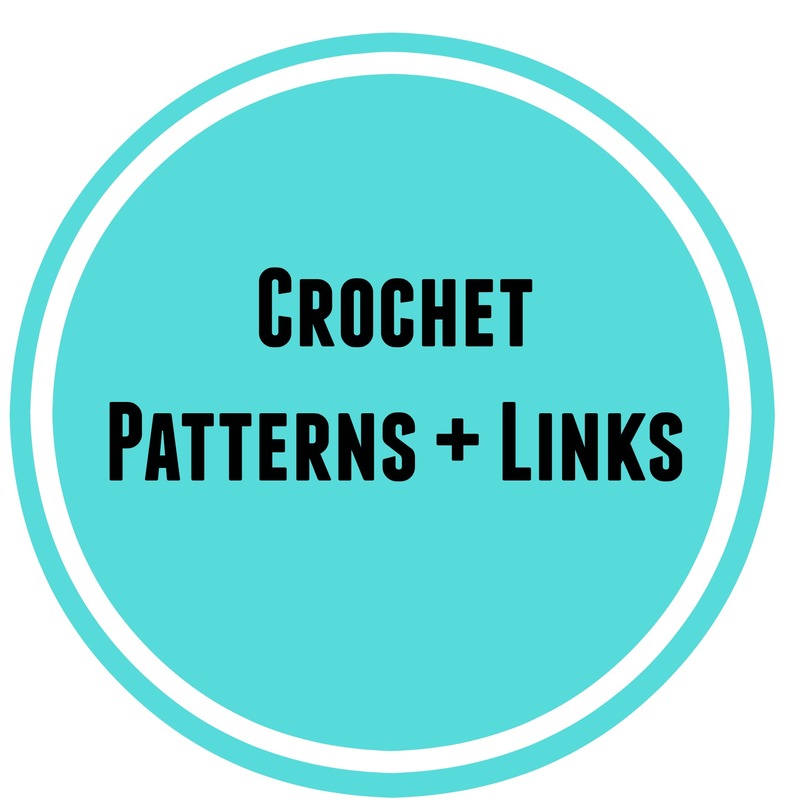 I hope this tutorial is helpful to you in your Etsy journey – if you have any questions, let me know! PicMonkey.com is an awesome free photo editing website. You can pay for upgraded features but it’s really not necessary unless you plan to use it all the time. 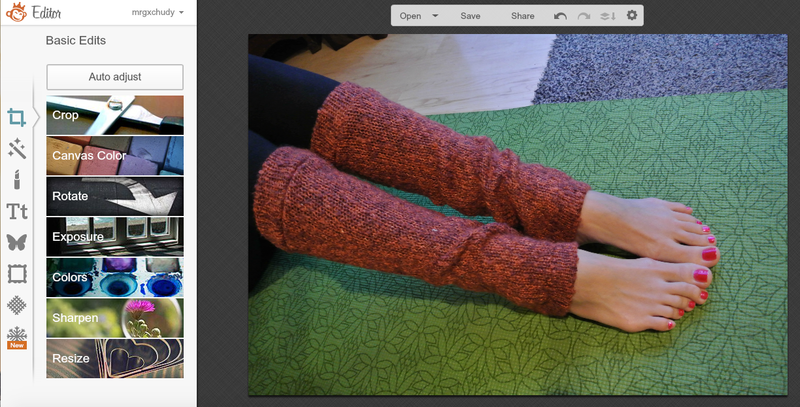 Step 1: Open a photo in PicMonkey. You can use a photo of one of your products, but if you want a solid-colored banner, like the one shown above, any photo will work. 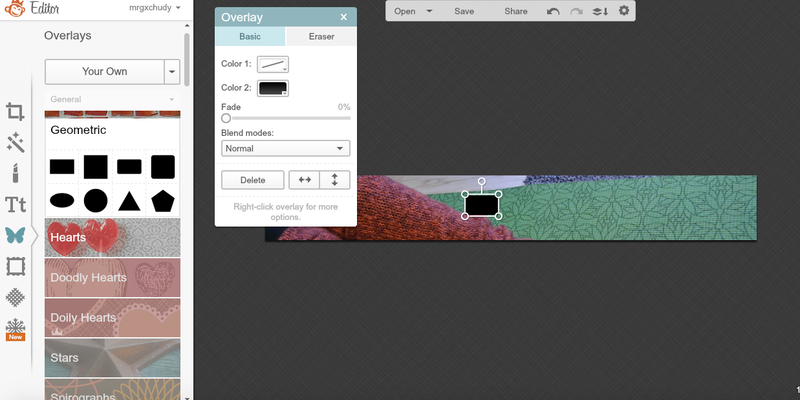 Step 2: Resize your photo. Select the “Resize” option in the bottom left-hand corner, and enter the number 760 into the first box. Don’t worry about the number in the second box. Hit “Apply”. Step 3: Crop your photo. Select the “Crop” option in the upper left-hand corner, and enter the number 760 into the first box and the number 100 into the second box. Hit “apply”. If you are using the photo you selected as the actual banner background (as opposed to a solid color) move the crop box around until it covers the portion of the photo you want in your banner. Step 4: Add a solid background (optional). To add a solid background, Select the butterfly icon on the left menu and open the “Geometric” option. Select a rectangle and it will be added to your picture. Using the pop-up Overlay box, change the colors to your liking and then resize the rectangle (using the handles on the corners of the shape) so that it completely covers your cropped photo. It’s okay if it’s bigger than your cropped photo. Step 5: Make it pretty! At this point, you can do whatever you want. You can add and customize different shapes from the butterfly menu options and you can also use geometric shapes to create borders and lines. I plan on creating further tutorials on more advanced ways to customize your banner. For now, I’m going to add a simple heart. Use the pop-up “Overlay” box to edit the shape. Step 6: Add your shop name. This is the most important part – putting your awesome shop name on your banner! Select the Tt option on the left menu to open the text options. Click “Add Text” at the top of the menu and play around with font, size, placement, and color (using the pop-up Text box) until you’re happy with the results. Trouble-shooting: Difficulty selecting the text box or overlay box? This will make more sense when you’re trying it, but if you use a big rectangle as a solid background (like my coral background above) you might struggle with being able to select the items “stacked” on top of it (like the heart or text) since the program will simply select the giant coral box. To solve this problem, simply move the background box out of the way temporarily, reposition/edit your overlays and text to your liking, and then return the background box to its original position. Step 7: Save your banner! When you’re happy with your banner, select the “Save” option right above the photo and save your banner with the “Sean” photo quality option. You are now ready to upload your finished banner to your Etsy shop! Well done. I plan on making more tutorials on this topic, including how to add a pre-existing logo to a PicMonkey.com banner, like the one for my Sweet Yogi shop. I love finding easy hacks to get around learning more about programs like PhotoShop. As much as I would like to do that eventually, I don’t currently have the time or money to invest in that skill – but I still need Etsy banners! If you’re in the same place, I hope you’ve benefited from this tutorial. Let me know if you have any questions.